The Impossible Man | Barbie Who? I have had a fantastic day. An absolutely fantastic day. Why, you wonder? Well, it has happened! 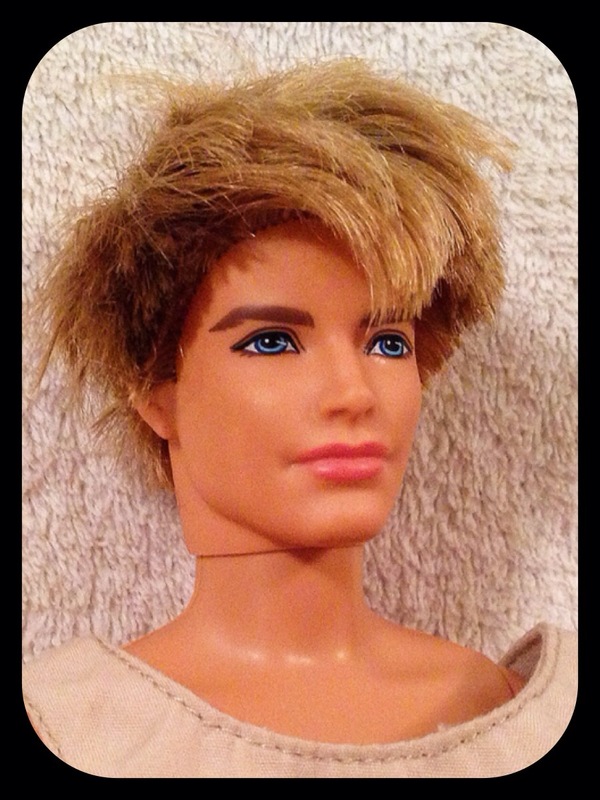 I finally found a Ken doll. Words cannot describe the happiness if felt when he went into my shopping cart this morning. The many months of searching has finally paid off. Ken isn’t the only great thing to happen today; let me start from the beginning. My husband and I went around to thrift shops in search of pink things for a decorating contest at his office. We wound up going to three different shops, and both of us found useful items. The first shop was a bust for dolls, but we found some good winter clothes for the kiddo. The second shop had some fun games (Quelf, anyone?) and a wonderful surprise. 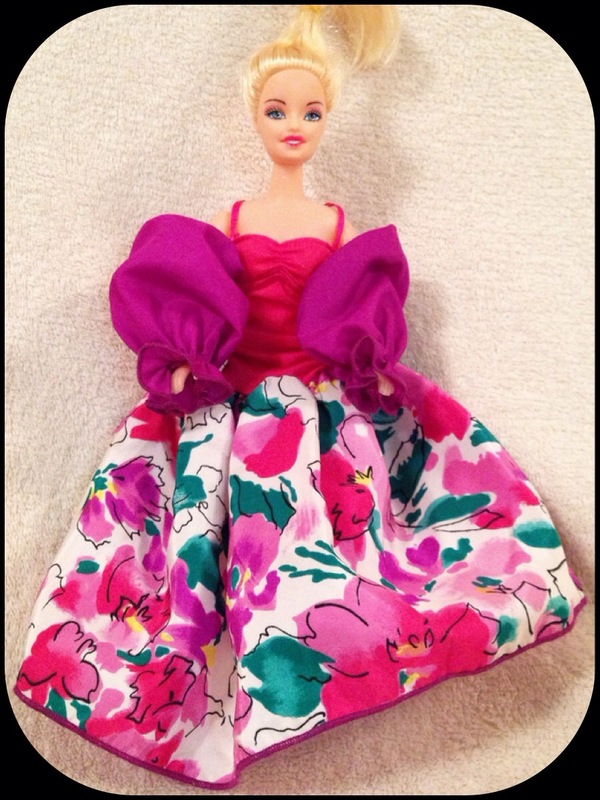 I found a generic doll wearing a lovely dress. It was the same dress as a doll that I had growing up, so I absolutely had to buy it. I am a sucker for sentimental things like that! The third shop was hands-down the best place for both of us. We were encouraged because they had a 50% off sale on everything in the store. Half off! You can’t find a better deal than that unless someone just gives it to you for free. It was fabulous; I bought 8 Barbie dolls, 1 Ken doll, and one Bratz doll. 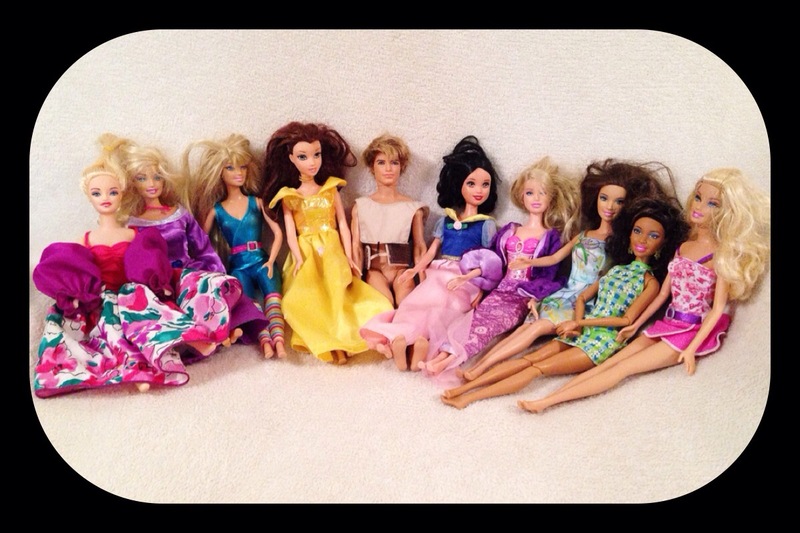 They were bunched together in groups of two, and each doll only cost $0.50! There is only one store here where you can get a better deal than that. The Bratz doll will be donated (I don’t like their big heads – too uncanny), while the rest will be used for the project. The ten new dolls will nearly double the number of dolls I have to use for Barbie Who? The best part is the sheer variety of dolls that I found. Only one of them is bleach-blonde, four are a darker blonde, and four are brunette. 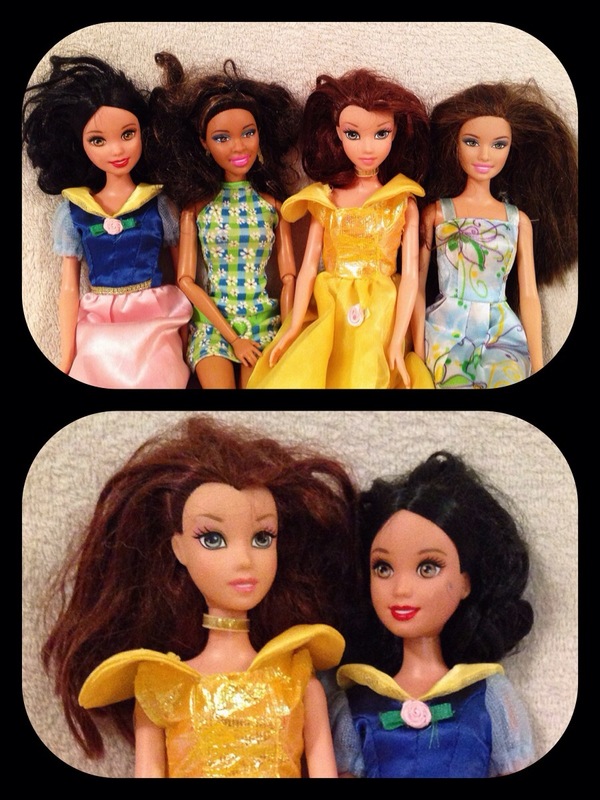 Seven of them are Mattel dolls, two are Disney princesses (Snow White and Belle, I believe), and one is a generic fashion doll. They will all be assets as I continue to move forward. I am very excited! I know that winter is coming, so I will have more time cooped up in the house to work on the dolls. Having a good stockpile of dolls to pull from makes my job easier, and it gives my kiddo more dolls to play with. The only possible downside is that Arachnid Guy has another man to compete with. Regardless, Cofelia will have plenty of friends to scheme with and against in the coming months.